Exposing an outdoor LED driver to direct sunlight can cause the temperature inside the LED driver to soar way above its rated maximum temperature rating. This has the potential to cause a failure, which would not be covered by the manufacturer’s warranty. When installing an outdoor LED driver, make sure it is in a shaded area. The other thing you want to check when choosing an outdoor LED driver, is its IP rating. This is the ‘Ingress Protection’ rating. The IP rating is shown as the letters ‘IP’ followed by two numbers. 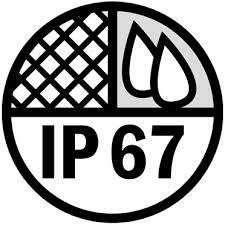 For example, IP67. The first number indicates the LED driver’s resistance to ingress by solids (dust), the second number indicates the resistance to ingress by liquids (water). Most outdoor LED drivers will have an IP rating of IP65, IP66, or IP67. Any of these three ratings should be suitable for a LED driver that is being installed outdoors. The number 6 indicates that the unit is dust tight. Zero ingress of dust was permitted during testing. Protected against jets of water. Limited ingress permitted. Protected against strong jets of water. Limited ingress permitted. Protected against the effects of immersion between 15cm and 1m. (Test duration: 30 mins). As an outdoor LED driver is only expected to be splashed by rain, all three of these ratings should be adequate. It is important to note that an IP67 LED driver should not be submerged in water, even though the test requirement is that is should withstand submersion for up to 30 minutes. Some installers prefer to only use IP67 rated outdoor LED drivers to be on the safe side. For more information on IP ratings please read our blog post “Power Supply IP Ratings Explained”. Many LED driver that are IP67 LED drivers have a plastic body. Even though they have an IP67 rating, they may not be suitable for outdoor use. This is because the plastic used to manufacture the LED driver’s housing may not be UV stabilised. This means the plastic could become brittle overtime. If the LED driver gets knocked the brittle plastic breaks away, exposing live components. Plastic bodied IP67 LED drivers are better suited for indoor applications, where they may get splashed with water. Metal bodied LED drivers are better for outdoor use as they offer high resistance to knocks and bumps and do not degrade due to UV instability. 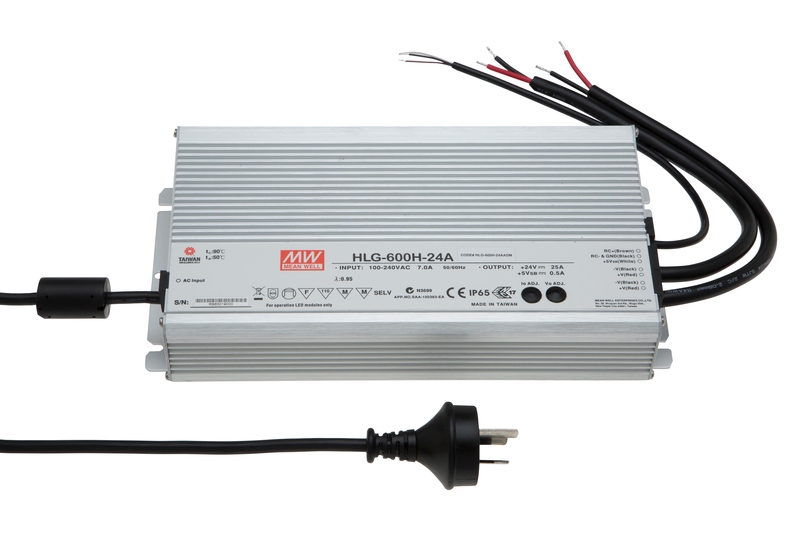 Power Supplies Australia offers a wide range of LED drivers, that are suitable for mounting outdoors. Our range includes both constant voltage and constant current type LED drivers in dimmable and non-dimmable versions. Click HERE If you would like to browse our range of LED drivers for outdoor use. Alternatively, if you would like assistance in selecting a suitable LED driver then give us a call on 1800 632 693. A member of our expert team will gladly answer any questions that you may have.